VANCOUVER, BC (February 8, 2017): Origins, a five-episode miniseries produced with support from TELUS Optik Local, launched this month on TELUS Optik TV on Demand. 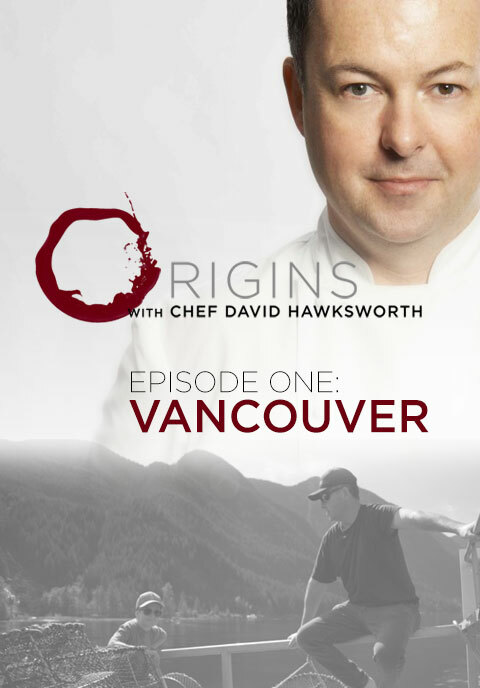 Follow Chef David Hawksworth as he travels across BC, from wine country to Galiano Island, to meet fellow chefs and discover how they source their signature dishes. Episode One looks at how Chef Hawksworth got to the point of opening his second restaurant Nightingale, with an in-depth interview about his approach to food and an inside look at how he sources his fresh seasonal ingredients. At the end of each episode, Chef Hawksworth prepares a signature dish, starting with spot prawns with sweet peas and tempura zucchini flowers in Nightingale’s inventive kitchen, alongside Phil Scarfone. The following episodes bring together inspirational BC chefs from the province’s top restaurants, as Chef Hawksworth meets with them to catch up with old colleagues and discover their signature dishes. Episode Two follows Chef Hawksworth as he visits Chef Jesse McCleery at his celebrated restaurant Pilgrimme on Galiano Island, and joins him on a foraging adventure to source Bull Kelp. In Episode Three, Chef Hawksworth reunites with Chef Brad Holmes of Olo Restaurant in Victoria, to reminisce on the days of being Chef Holmes’ mentor in Hawksworth Restaurant’s high-pressure kitchen. Episode Four sees Chef Hawksworth heading to the heart of wine country to meet with Chef Jeff Van Geest from Miradoro Restaurant at Tinhorn Creek Vineyards in Oliver, to source seasonal ingredients in Canada’s only desert. Episode Five takes Chef Hawksworth to the West Coast Fishing Club in Haida Gwaii, where he gathers fellow culinary masters, Normand Laprise, Derek Dammann and Valentine Warner for a ‘chefs’ jam’ of cooking and fishing adventures. Origins is available to view on TELUS Optik TV on Demand, for more information please visit www.hawksworthrestaurant.com/blog/ or view the trailer here.